The season of Lent begins this Wednesday 22nd February. It is a special period of preparation for our celebration of Easter. Ash Wednesday is a day of fast and abstinence. Ashes will be distributed during all masses on Wednesday. Volunteers are required to do the basket collection at the 10am mass in Drum each Sunday. Please contact the Drum parish office at 090-6437125 if interested. Your help will be greatly appreciated. -Drum Parish Hall commencing Tuesday 28th February. For further information contact the Parish Office at 090-6492171 or Drum Parish Office 090-6437125. A community care officer will be in attendance at this week’s meeting on Tuesday at 3pm in Drum Parish Hall. Annual General Meeting takes place on Wednesday 22nd February at 8.30pm in Drum Parish Hall. New members welcome. Open night and enrolment for Monsignor McCarthy Memorial National School, Cornafulla takes place in the school on Thursday 23rd February from 6.30-8pm or contact the school any day 9.30am–3.00pm on 090-6437177. Meeting on Thursday 23rd February at 8.30pm in the Visitor Centre. All members requested to attend. Also, Annual Table Quiz on Friday 9th March at 8.30pm in the Shamrock Lodge Hotel. ‘Thanksgiving Mass’ in Ardkeenan National School at 12 noon on Friday 24th February to celebrate Ita Brennan’s retirement. All parents and pupils, past and present, are welcome. For all girls/boys under 10 and under 12. If you are interested in Draughts please contact Joanne Colgan at 087-9137608. Monksland Active Age are hosting a coffee morning in aid of cancer care in Friday 24th February from 10.30am-1.30pm in the Radisson Hotel. Pleas support. The Parish Finance Committee wish to acknowledge with grateful thanks and appreciation recent donations of €4000, €300 and €200 towards our Church Maintenance Fund. Go raibh míle maith agaibh. Presents ‘The Beauty Queen of Leenane’ from Sunday 26th February to Friday 2nd March. Bookings at 090-6474324. Feeling low, worried, anxious? The Primary Care Adult Mental Health Services in Roscommon Town operate a Free Walk-in Clinic open Tuesday to Thursday 2-4pm. Speak to a Mental Health Practitioner without an appointment. 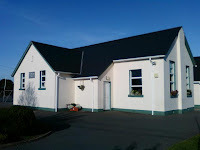 The Clinic is situated at the Psychology Department on Abbey Street, Roscommon. Contact number 090-6627091.